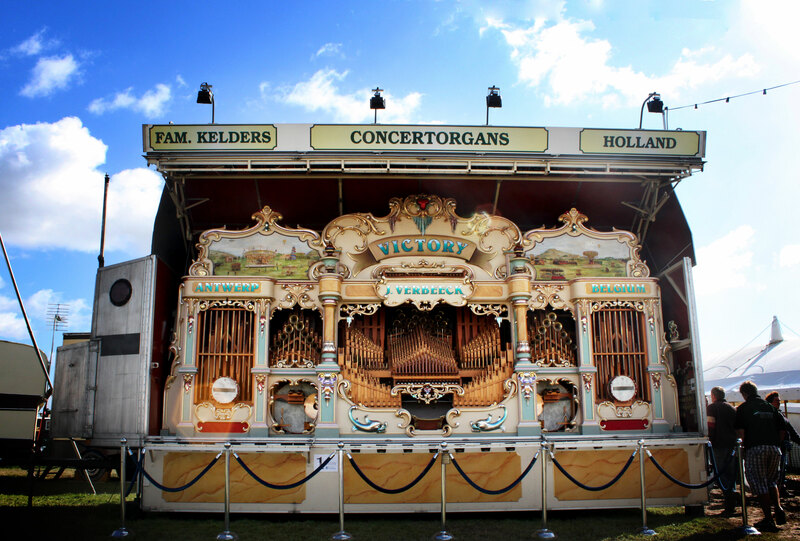 An original Fairground organ, built by Johnny Verbeeck, playing on the same basic Verbeeck-scale as the Locomotion. Since 2012 the Celebration belongs to the Victory on Tour society. 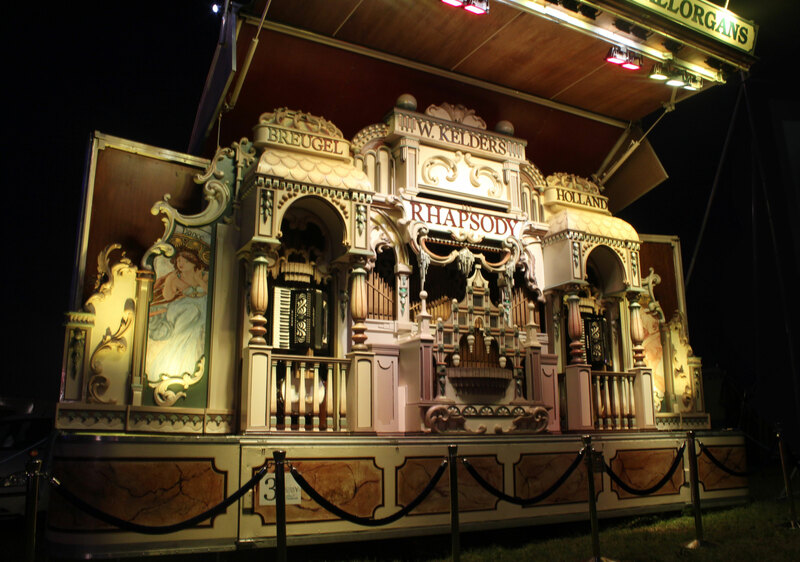 This organ has been taken over, in a used condition, from a retired showman of the north of the UK. The orginal date of construction is not exactly known, but must be around 1983. 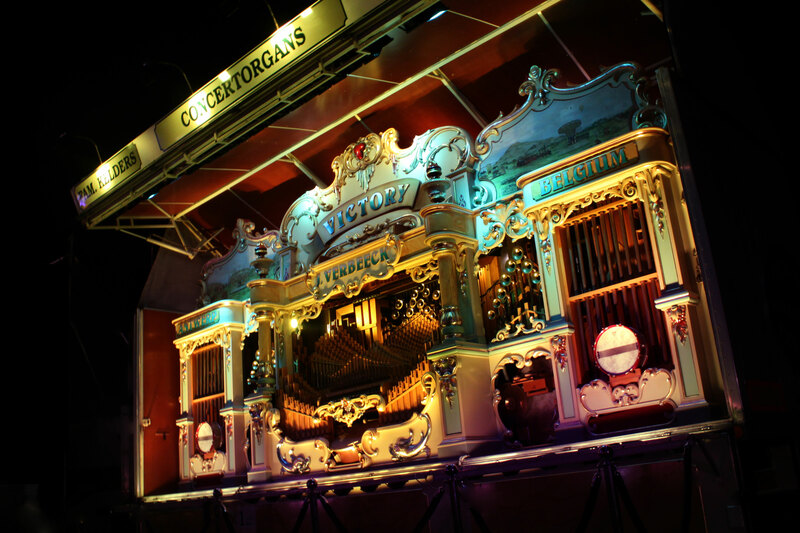 A special closed trailer with a drop-off system is under construction for this model of organ. Also the façade is under construction. Maily by the lack of time and changes of work in our company, so different priorities, the endresult is not even close to be finished. However we sincerely hope to start rallying this instrument in the near future. 10 automatic interchangeable registers on melody, countermelody and bass. A metal xylophone (Glockenspiel) on the melodysection. 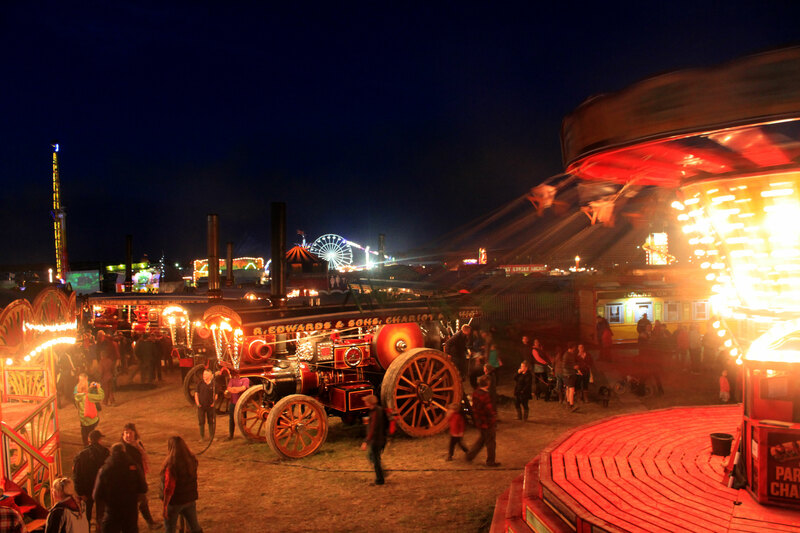 The airconsumption of the Locomotion is 5500 ltrs of pressed air a minute, at a pressure of 240 mm watergauge.